Crested in the bosom of the mighty Brahmaputra and fondly lying in between the two rivers of Subansiri and Kherketia in Upper Assam, Majuli is simply breathtaking. The impeccable landscape here has a surreal and magical old-world charm. The seat of the neo-Vaishnava’s culture, Majuli is dotted with monasteries (popularly known as satras) and monks.While the dry months run at a slow pace, the wet months bring about plentiful rains and the perils of life. 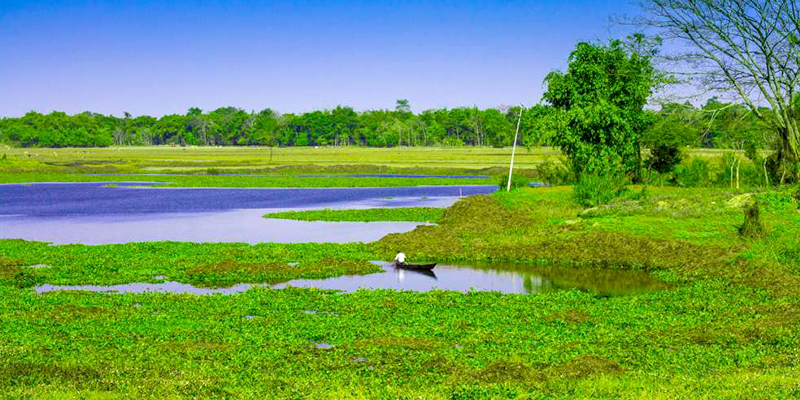 Recently, turned as India’s 1st island district, Majuli is accessible by a 2-hour ferry ride via Jorhat in Assam. 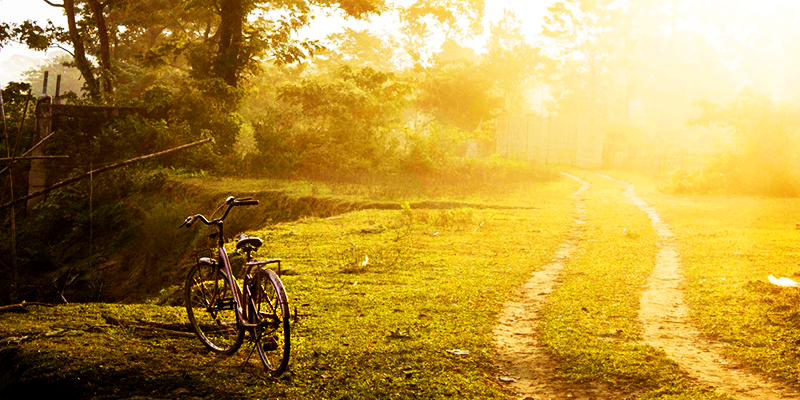 The best way to explore this shrinking land is to cycle your way through the cultural ambience of this land. Be the village finder – Culture, art and nature in Majuli come together to conspire and restore our faith in the beauty of simple things. At times, get off the cycle to meet friendly locals, and exchange interesting stories with them. They can take you to the most beautiful parts of the island, places off the road. 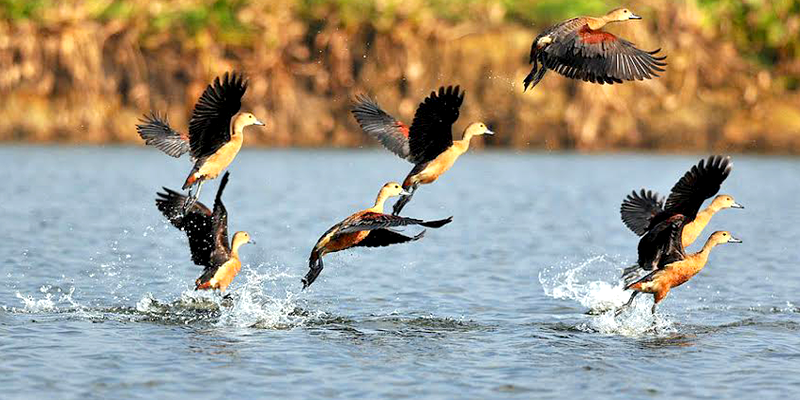 On a birding trail – Majuli wakes up to soft prayer chanting mixed with bird songs. Here flocks of birds live by the river, sunbathe on the green pastures and take a chill-pill with cattle. Get lost in the wilderness – Fluorescent yellow mustard fields spread across as far as the eye could see, contrasting the occasional green tree. One glance at these fields is enough to make you sing and dance without a second thought. Surrounded by the wilderness, the cool breeze, and the distance gleaming sun will leave you in sheer awe. Up close with tribal life – Visit the Mishing tribe, who are probably among the most colourful tribes of Assam. Mishing tribe is known for their skills in making the very popular Gadu blankets. 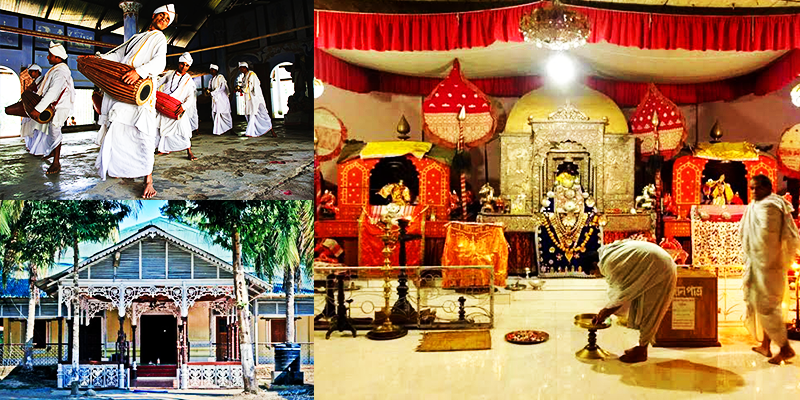 Monasteries and Monasteries – One of the nerve centres for the neo-vaishnavaite movement, Majuli has numerous satras (monasteries) as a tribute to Srimanta Sankaradeva. Some of the popular satras include Auniati Satra, Dakhinpat Satra, and Bengenaati Satra. And they hold a lot of educational value with them. Brahmaputra cruising – Going boating in the majestic Brahmaputra is probably one of the best experiences one can have. Sitting on the edges of those public ferries, and gazing the exquisiteness of nature blooming in its full form, would be bliss. 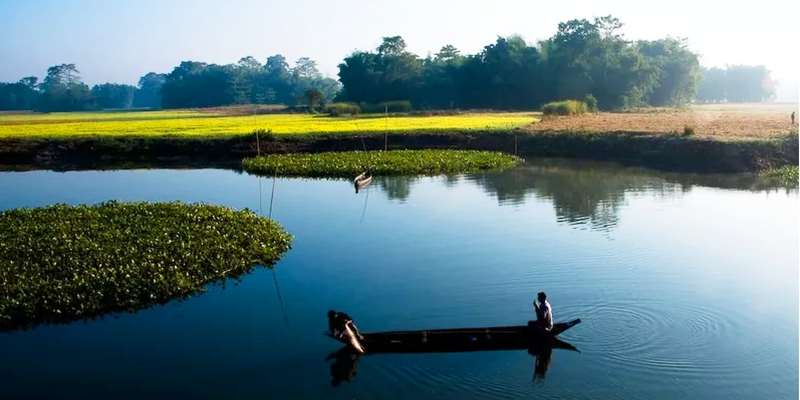 There is a lot more to Majuli that can be explored, but its natural beauty and its treasured sheer loneliness are what makes it most desirable. In a life where everyone is running against time, Majuli despite slowly losing its existence comes across as a reminder to stop, breathe and live. How to reach – The nearest railway station is at Jorhat, which is about 7 hours a train ride from Guwahati. One can take a ferry from the Nemati Ghat in Jorhat to Majuli. Every detail is there even how to reach. Please add about lodging and boarding. It helps a lot. Thank you, Mr. Shridhar for reading and appreciating our posts. To know lodging details, you can download our RailYatri app and find & book all suitable lodges for Majuli or any other destination. I always like to go for enjoy at such type of natural beautiful places specially of India. Indian natural beauty is best in the world we should care that gift of God. always like to go for enjoy at such type of natural beautiful places specially of India. Indian natural beauty is best in the world we should care that gift of God.